Music resounds through the night from speakers amidst countless glittering neon lights. Today, people are linked to each other and the rest of the world through the Internet. People commute in and out of cities, and go through many distractions in their daily lives. multitude of points of view, new ways of understanding. hard to see what has meaning and value. The energy that we find ourselves steeped in has created an awareness of fantasy within ourselves. 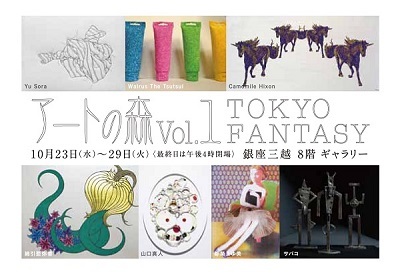 fantasy and reality, creating the intangible harmony and staggering fantasy world that is Tokyo.